Central to the project is the Rotating Algae Biofilm Reactor (RABR), an attached growth algae reactor designed and built by WesTech. 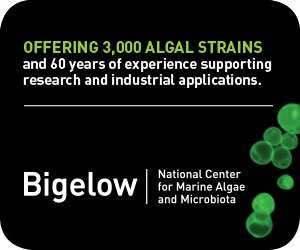 he Utah Science Technology and Research (USTAR) initiative, a technology-based economic development program funded by the state of Utah, has awarded a $175,320 grant for development of a commercial algal application in the removal of nitrogen and phosphorus from municipal wastewater. 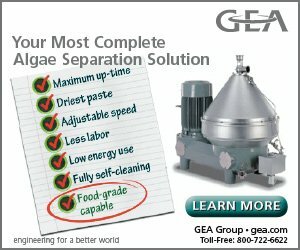 The grant, awarded by USTAR’s Industry Partnership Program (IPP) to Professor Ronald Sims, Ph.D. of Utah State University (USU), supports a unique collaboration with USU, WesTech Engineering and the Utah Central Valley Water Reclamation Facility (CVWRF). The IPP promotes the development, acceleration and commercialization of innovative technologies by teaming industry and university research expertise to address specific technology challenges. In addition to the utilization of algae for the removal of nitrogen and phosphorus from wastewater streams, the grant will address subsequent biomethane production and the conversion of waste products into high-value soil amendment through anaerobic digestion. USTAR funds have been matched by WesTech and CVWRF for a total project size of $350,000. CVWRF currently uses activated sludge and trickling filter treatment of wastewater, followed by anaerobic digestion of the biosolids generated in the treatment processes. The biosolids are dewatered using a belt filter press. The liquid portion, referred to as pressate, is high in ammonia and phosphorus and is warm (90oF). This liquid will be used as the food source to cultivate microalgae that naturally grow by up-taking the growth nutrients, phosphorus and nitrogen, from the wastewater. The algae can then be harvested to obtain biomass, which will be sent to the anaerobic digestion phase where biomethane is produced and captured and a stream of high-value compost fertilizer can be produced. 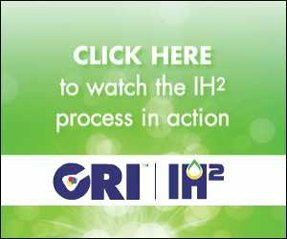 This delivers a double-sided benefit because, in the process, the wastewater quality is improved by reducing the levels of phosphorus and nitrogen being recirculated back into the main flow stream of the treatment plant. This also reduces the need for costly chemical agents and additional unit processes, which are otherwise required to bring nitrogen and phosphorus levels into compliance. Central to the project is the Rotating Algae Biofilm Reactor (RABR), an attached growth algae reactor designed and built by WesTech and based on a concept of algae biofilm developed by the Waste to Bioproducts Engineering Center (SWBEC) that is a part of the Utah State Biological Engineering Department. 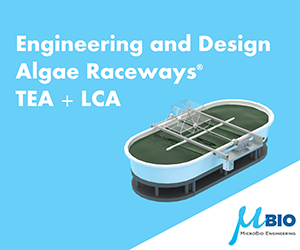 The biofilm reactor was designed for cultivating and harvesting large amounts of algae, with applications to large-scale municipal wastewater treatment plants. The RABR combines both algae cultivation and harvesting into one process, improving efficiency and reducing costs. 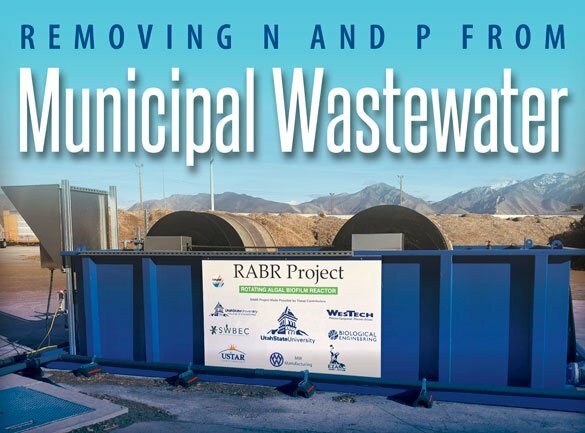 The CVWRF is designed to treat 75 million gallons of wastewater each day and is one of the largest municipal wastewater treatment plants in the state of Utah. The CVRF is a model for meeting future state and national treatment requirements and for developing waste-to-value opportunities. Nutrients removed from the wastewater are used to enhance the production of biomethane that is already being generated on-site to offset 70 percent of the facility’s energy needs. In addition, the algae can be mixed in with the facility’s compost to create a higher-value product fertilizer.